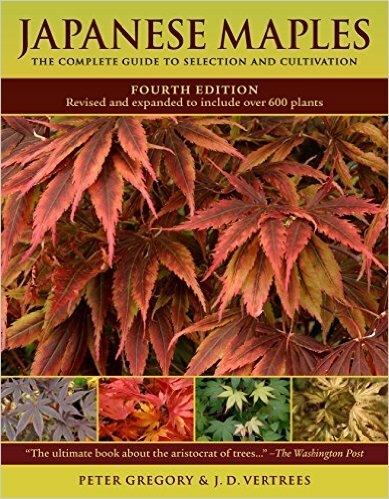 This new fourth edition offers detailed descriptions of over 150 new introductions, updates to plant nomenclature, and new insights into established favorites. Gardeners will relish the practical advice that puts successful cultivation within everyone's grasp. Accurate identification is made simple with over 600 easy-to-follow descriptions and 500 color photographs. In this long-awaited book, internationally renowned expert Peter Adams discusses both the specific horticultural needs of Japanese maples as bonsai subjects and illustrates proven techniques for creating and maintaining beautiful specimens. Although aimed at an audience that has some familiarity with bonsai techniques, the book deliberately shows a mix of bonsai at different stages in their training, so that less experienced enthusiasts can gain new ideas and inspiration from trees that are "works in progress." Much more than a mere "how-to" book, Bonsai with Japanese Maples is a forthright attempt to look at bonsai as art objects and to critique and assess them from an artist's perspective. This beautifully illustrated book provides an inspirational and practical introduction to the traditions of Japanese Zen gardens, using natural materials such as wood, bamboo, rocks and pebbles. Emphasizing the value of shape in trees and shrubs with the subtlety of color through the varied greens of foliage and moss, Serene Gardens is the only book that explains how western plants and materials can be used to achieve the natural, minimalist look so beloved by Japanese garden designers. There are instructions and tips for selecting plants and materials which are readily available, as well as plant lists and climate zone maps to aid western gardeners.